We love the Double! The robot itself is comprised of an ipad (not supplied), so you will benefit from Apple's approved technology, coupled with the simple and efficient concept of a robot! We tested it during professional meetings, as well as workshops. As a remote guest, you will appreciate being able to turn your head (the screen…), in order to look at each participant face-to-face. Even the fact of being able to, quite simply, move around the conference room to have a separate discussion. 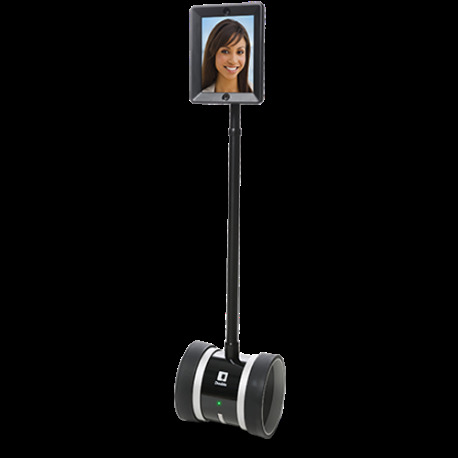 You will be able to offer a self service of your Double robots on several of your sites. An employee in Geneva will simply be able to find out the availability of a robot in New York, and use it remotely to get in contact with a colleague, by moving around the offices. And we love the double, simply because it means we can stay connected with our friends and family abroad, by sending them an invitation via email, for them to connect to the Double at the agreed time and date. Its uses are infinite, so it's up to you to find ideas for staying connected! Stay connected with your friends at home!